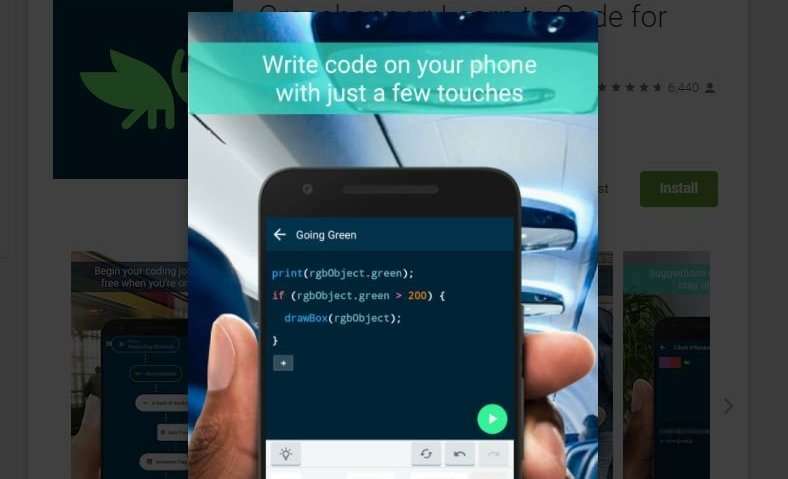 If you are new at coding and don't want to rearrange your life as a result—changing work hours, spending wads on formal courses—you may want to know about Grasshopper, a new way you can learn to write code on your phone. Grasshopper gets you on your coding way through puzzles and quizzes. This teacher app was launched through the Google incubator, Area 120, which is described as a workshop for experimental projects. The coding app is for beginners and it is available for free on Android and iOS. Grasshopper's structure is such that it provides progressively challenging levels. In 9to5Google, Justin Duino said it was similar to "how apps like Duolingo teach you how to learn a foreign language." He described what it is like after signing in. You are walked through the basics of programming and given several quizzes. Then comes more subject matter and exercises. "The problem is that today's university-first approach is a bit old school, and frankly, out of touch. That's why Grasshopper offers a new kind of curriculum for the everyday coder." If your learning tool can fit in your pocket, that implies it can fit in your lifestyle (do it on a work break or your train and bus commutes). Grasshopper is an easy to remember and friendly name but the team called it as such for a different reason. The grasshopper's name is Grace which pays honor to Grace Hopper, an early pioneer in computer programming. In turn, the team said Grasshopper comes from a passionate team concerned to help remove barriers to access to coding education. In further detail, according to descriptions, each course covers how code works, and it goes over animations, drawing shapes and creating more complex functions. One develops confidence to play around to build interactive animations. In the next couple of months, said the team, expect additional content in The Fundamentals.